My older brother used to say “it ain’t nothing but a party.” While in college, his motto was "you don't go home until you are exhausted. Just because the party stopped, you don't stop. YOU are not exhausted. There were after parties, a friend’s house to play games, and meetups after the after-parties at IHOP. That was my brother Lance’s philosophy on life. I, on the other hand, am a genealogy nerd. The person I'm looking for is John Burns. Well, at least that was his name in the USA - Wisconsin in 1836. 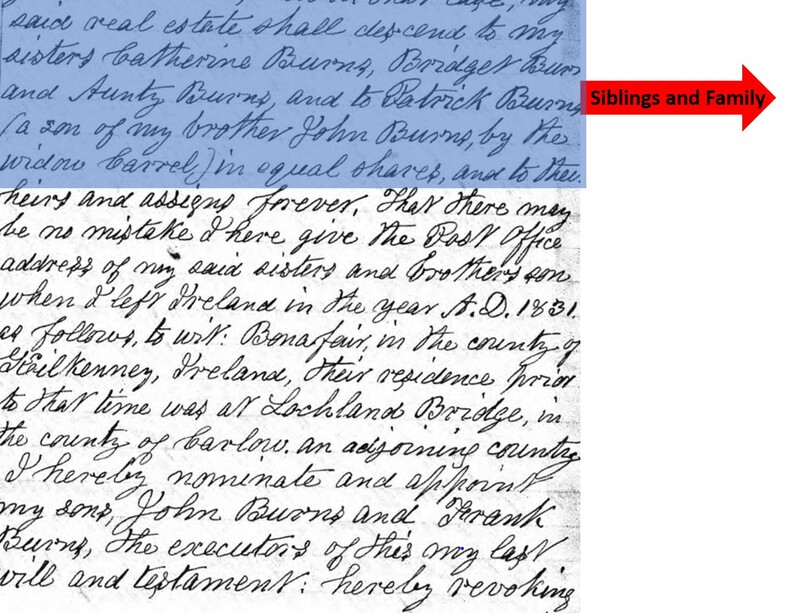 I know he was born in Ireland, but without strong hints supported with solid research, finding the "correct" John Burns in Ireland is the proverbial looking for a needle in a haystack. He's there somewhere, but where? So I must exhaust my USA research. 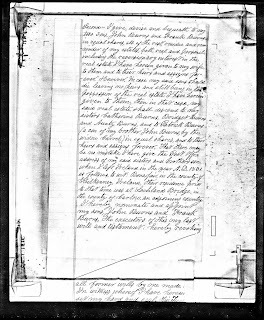 What’s Hidden in the Wills? But, when we have projects like our Burns, Barnds, and Byrnes (yes, those are some of our B clients along with Britt, Burnett, and Brundage), we call it a party at a3Genealogy. We don’t stop until we’ve exhausted all of our party resources. Of course in this case, the party includes "all possible involved parties." Our researchers and clients are usually enrolled for the long haul. We keep them informed of our progress, disappointments, and surprises along the way. But sometimes they make us laugh. Like today, when a client asked, “why do you need to look at wills and probates to find the parents and origin of my John.” Here’s why! 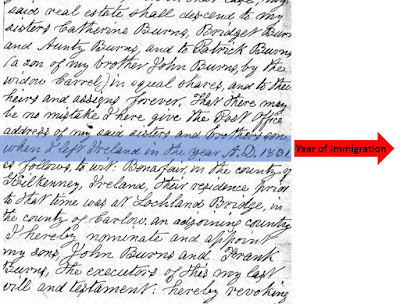 ..."when I left Ireland in the year A. D. 1831. But, From Where In Ireland? 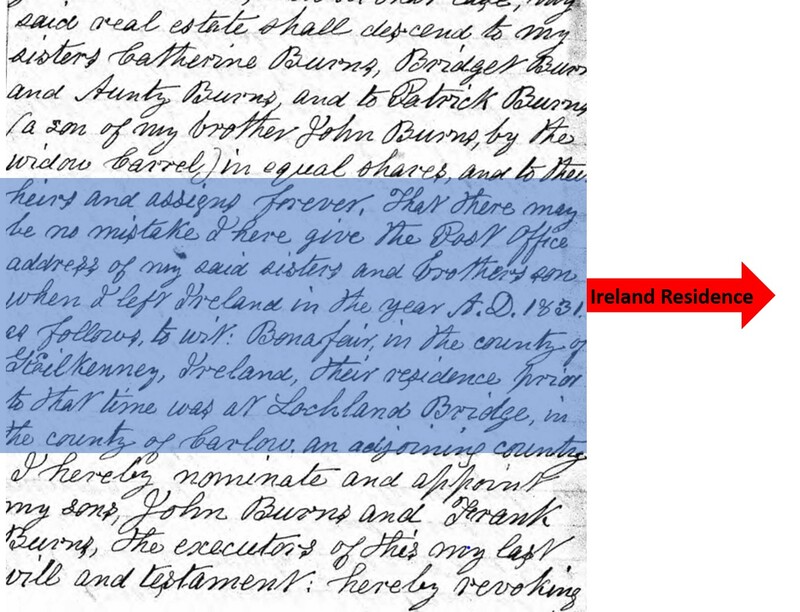 "That there may be no mistake I here give the Post Office address of my said sisters and brothers [sic] son when I left Ireland in the year A. D. 1831 as follows, to wit: Bonafair [? 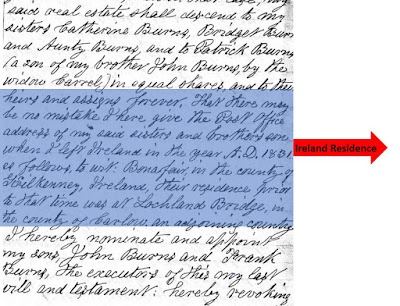 ]* in the county of Kilkenny, Ireland, their residence prior to that time was at Lochland Bridge [Leighlinbridge? 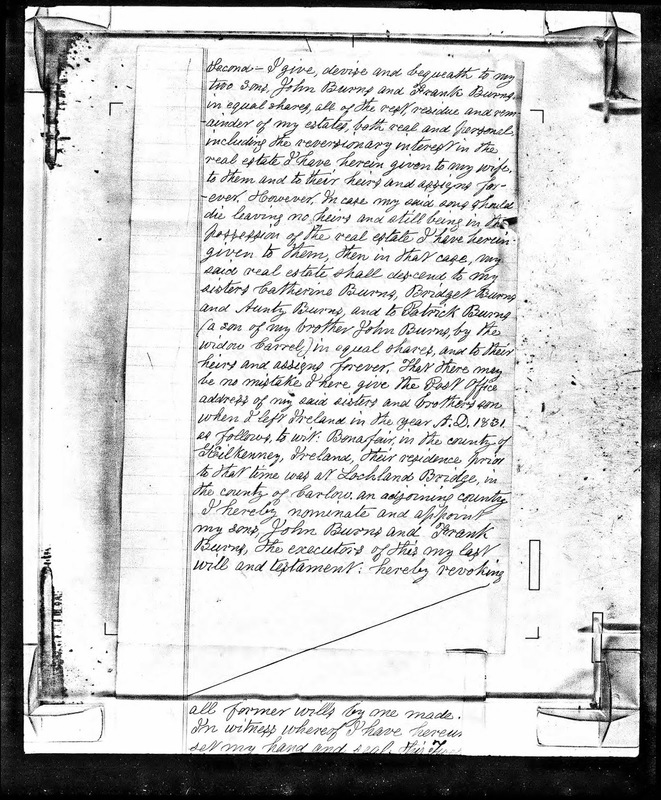 ]in the county of Carlow, an adjoining county." 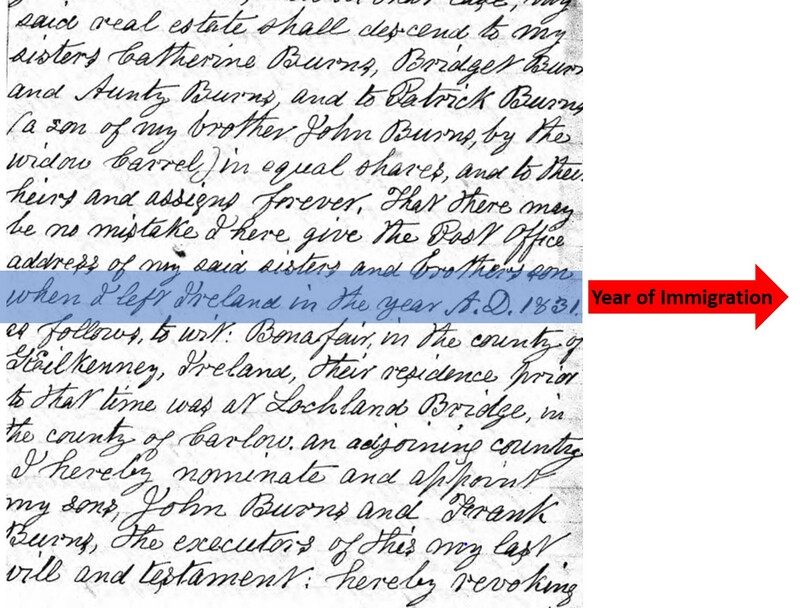 We have about a dozen more wills on the Burns of Wisconsin before coming to any conclusion. But did the client really want us to overlook this one? 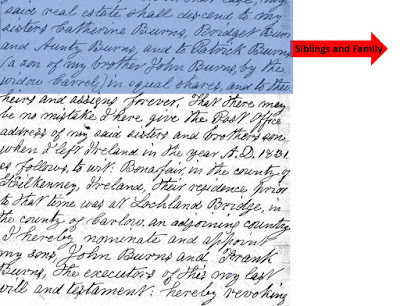 Notes: *Bonafair as written has not been located in County Kilkenny. Perhaps Ballyfoyle, but this has not been proven.